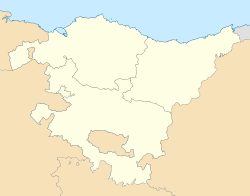 Idiazabal is a toun an municipality in the Goierri region o the province o Gipuzkoa, in the autonomous commonty o the Basque Kintra, northren Spain. The aurie haes gien its name tae the renouned Idiazabal cheese o the region, ane o the best-kent products o the Basque cuisine. This page wis last eeditit on 7 September 2017, at 20:45.